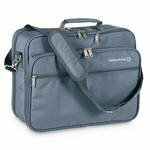 Branded laptop bags offer so many options for marketing and advertising to a wide range of clients and audience in a very functional and useful product. 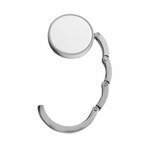 We also provide promotional tablet sleets which can also be fully branded with your logo and a custom designed service for clients looking for a more bespoke product. If you cannot find the latop bag or sleeve you need please do call us on 0800 158 3080 for assistance. We can supply fast delivery bags on an express service and plain stock products. Laptop bags and tablet sleeves are an everyday essential and their widescale use in promotional marketing highlights the growing dependence we have on these devices for work and leisure time. 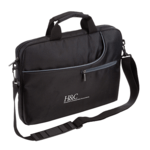 As a necessary item, it makes sense to put some time into selecting the right promotional laptop bag or tablet sleeve for your promotion and to look at what is valued by your target audience. 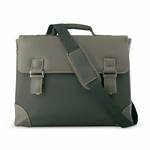 We all know how dependent we become on our favourite laptop bag which for many of us have replaced the traditional briefcase. So, what makes a great laptop bag? In two words form and function. In terms of ‘Form’ here we are talking about the shape, size and dimensions of the bag. Thanks to technology and design, modern laptops do now tend to weigh less than earlier models, but they can have a larger physical size with a wide screen. Tablet are smaller of course but require perhaps more protection due to their thinness. So, when it comes to ‘Form’ what we need to consider is an overall size, shape and dimension to take the laptop or tablet but also the ‘Function’ it will perform. 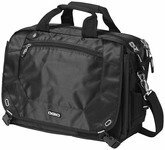 The main ‘Function’ is obvious; to carry the laptop or tablet but there are other functions to consider if a laptop bag is to become indispensable. The user may need to carry with them a range of IT accessories including a power supply for power on the go, desktop mouse, laser pointer (for PowerPoints) and other cables for charging their mobile phone or tablet reader. So, in terms of function the laptop bag should have plenty of pockets and padded compartments and sections. Some of these use Velcro to close them or be zipped or even locked. Other useful pockets can include sectioned off areas for pens or a mobile phone and power bank, paper pads and document folders and even a water bottle holder. Some laptop bags also provide small outlets for cables and earbuds. Once you have a fairly good idea of the form and function it is important to think about how the bag is to be carried or transported. Adjustable shoulder straps and carry handles may be important to some for general office use but a pull-out trolley bar may be important for frequent travels who do not want to necessarily carry their bag on their shoulder or back. Who Uses Branded Laptop Bags? Laptop bags have many uses and the more the bag is multi-functional the more uses it will be used for. At Redbows, we have supplied promotional bags like these for a wide range of functions including university and college courses, exhibitions and tradeshows and for many different work functions including service and engineering teams, sales forces and general office staff. That’s the real benefit of laptop bags and their wide appeal. Almost everyone has some form of device, documents and other items to take to work. Why Invest in Printed Table Sleeves? Anyone who has a tablet will want to protect it as much as a laptop. In fact, they may consider the tablet to need this more and want both a tablet sleeve and promotional laptop bag. Tablet sleeves are lower cost and due to their size and weight easier to distribute and give out. For this reason, tablet sleeves may be more suitable for events including tradeshows and exhibitions. A factor to consider however is the wider range of tablets available when you consider iPads and Amazon Fire devices. Once size does not fit all and so you may need to consider a larger size or a range of sizes unless you are bundling the printed tablet sleeves with a tablet as part of a promotion. 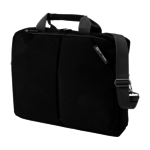 Most of our laptop bags are made from heavier weight polyester. Some of the laptop bags we supply are made from recycled plastic materials and we can also source bags from leather or PU (imitation leather). Polyester is the most hard wearing of all of these. 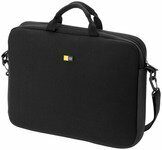 Laptop bags do offer large areas for imprints and your logo and marketing message. When it comes to application an embroidered imprint will always be more hard wearing than a screen print which could be damaged over time and long-term usage. If you choose the right promotional bag for your audience, you are guaranteed free advertising for your logo and marketing message. When we talk about primary advertising in promotional marketing we are talking about brand exposure to the target audience. In this case it will be to the laptop bag recent and a few close members of their team and family. In terms of secondary advertising we are talking about the laptop bag being seen by a far wider audience including people the user meets during their working day or time outside work and even when simply traveling to the office or a client or exhibition. Please let us know if you need further information or see the FAQs we have raised covering some of the most frequently asked questions when it comes to laptop bags and tablet sleeves. 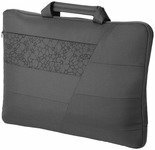 What’s the best imprint method for laptop bags? Our recommendation would be to always go for an embroidered imprint as this will be very hard wearing and capable of withstanding knocks and scrapes. This is not always the case with screen printed or transfer labels. Another factor to consider is the bag material as the smoother the material the better the platform on to which to apply your logo imprint. What’s the best place for the logo imprint? On each of our bags there will be a defined imprint area for your logo shown in the specifications section of the product details. The imprint position is chosen to give the best possible view and protection for your imprint. Normally this is on the visible part of the laptop bag and near to the carry handle. Can you supply Eco-friendly laptop bags? 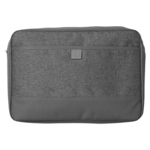 Most laptop bags and tablet sleeves are made from polyester materials. We can supply versions of some of our laptop bags made from recycled and reclaimed plastics.